1. Using scissors, remove the flip-top from the container. 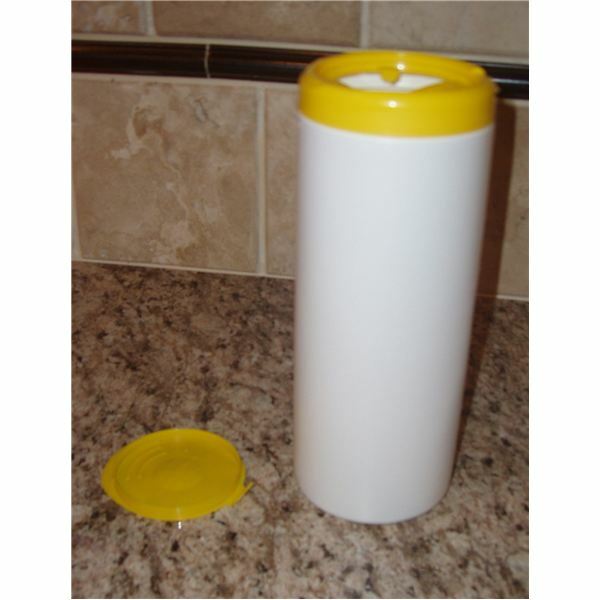 Simply cut the tab of the lid at the base, where it joins with the dispenser. The photos below demonstrate how the container will look before and after the removal. 2. Remove the yellow label from the canister. 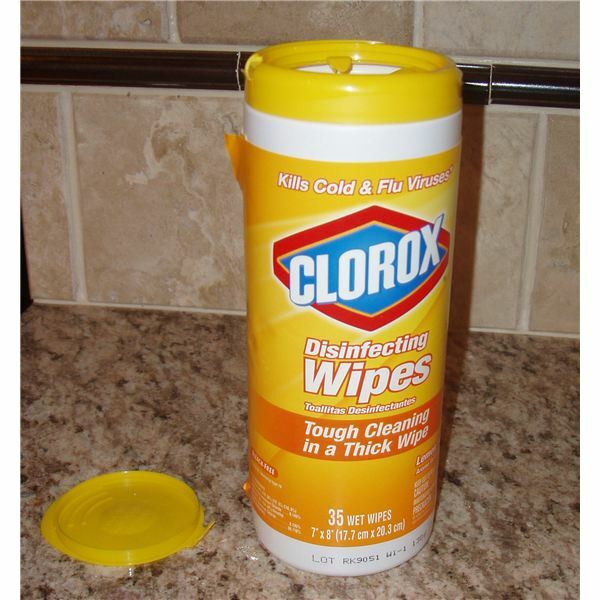 You may find label easy to remove if you first wrap the container with a washcloth that has been dipped in warm water. The warm water will help to loosen the glue so that the label can be easily peeled. If the label is difficult to remove, or residue remains, you may need to soak the entire container in water for a brief moment. Be sure to dry the container thoroughly before proceeding with the activity. 3. 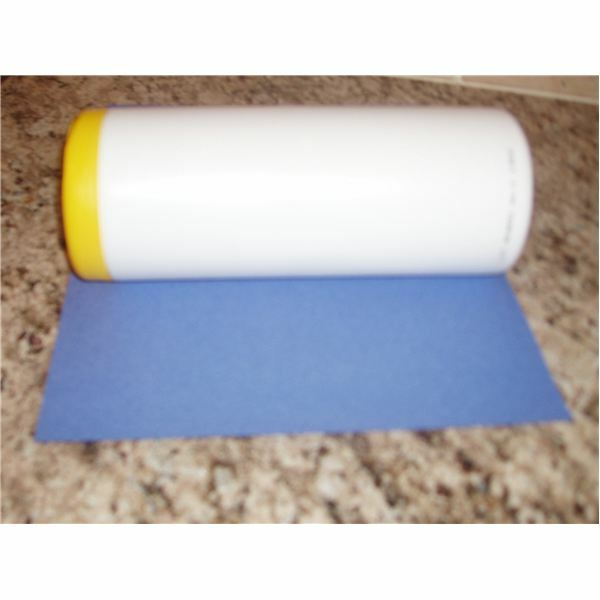 Give each student 1 sheet of 9" x 12" construction paper – in either white or blue. 4. 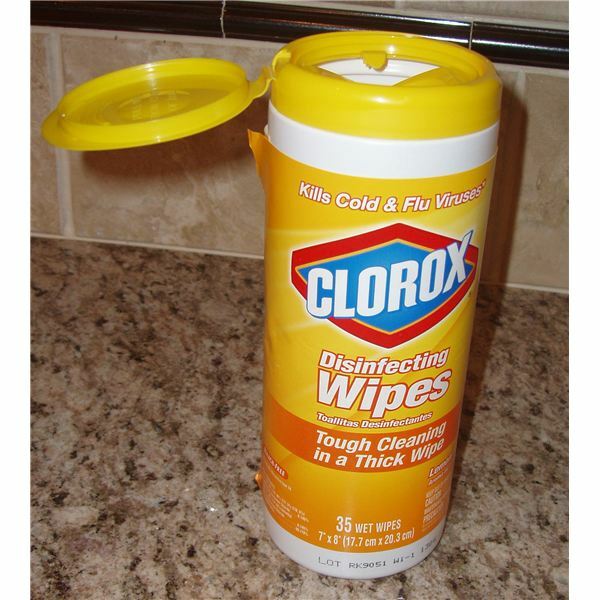 Instruct students to center the wipes container onto the paper. The paper should cover the container completely from top to bottom. The instructor will want to walk around the room to be certain students have the container centered on the paper, and that the container is not sitting crooked. If the container is sitting crooked, it will make the wrapping in the next step very difficult. 5. Instruct students to tape one end of the construction paper to the container. Students should then slowly roll the rest of the paper around the container so that the two ends come together and overlap slightly. Again, the instructor should be walking around the room to provide assistance to any students who are struggling to complete this task. If a student is having trouble, show them how to unwrap the paper and begin again. 6. Secure the two ends to the container with Scotch tape. around the wrapped container. 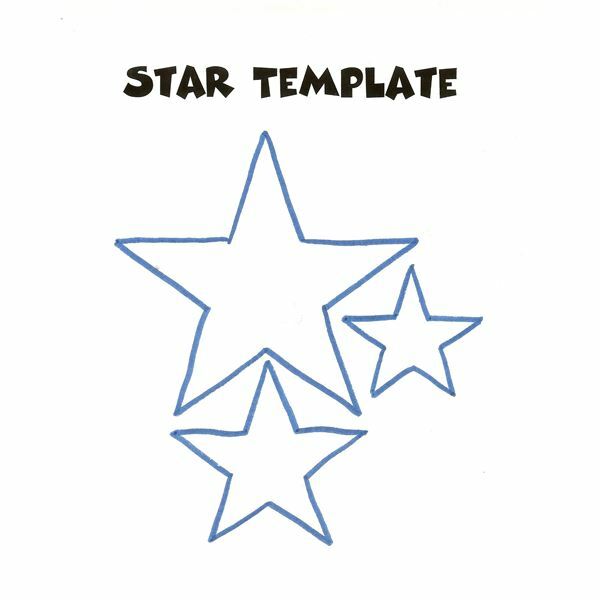 If the student used blue paper to wrap, s/he should use white stars to decorate. If the student used white paper to wrap, s/he should use blue stars to decorate. 8. The last step is to add the "fire" to this firecracker. Give each student 1 sheet of red tissue paper. Show students how to gather the tissue paper together by first placing their "pointer" finger into the center of the tissue paper and then using their other hand to bring the sides up around and together. Tell them to slip their finger out of the center, but continue to keep hold of the gathered tissue paper so that it does not fall apart. 9. Students should then begin gently stuffing the tissue paper (center point, first) into the wrapped container through the teethed dispenser. 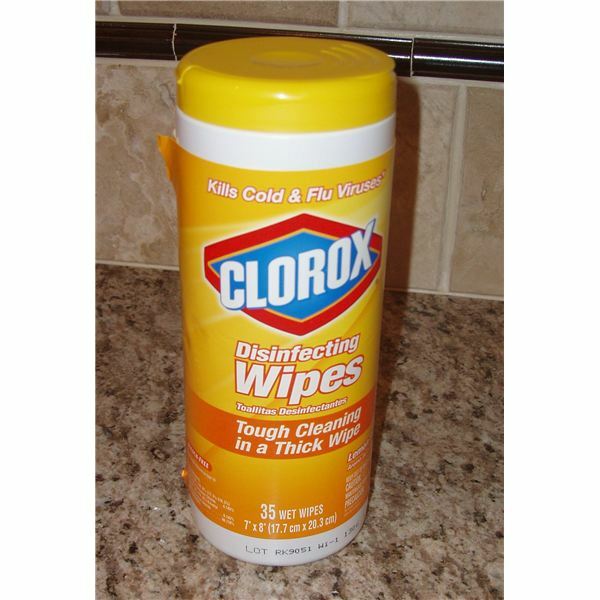 The tissue should be pushed down into the container until only about 3" – 4" remains sticking out. They can separate the tissue paper slightly to make it look more like flames, if they so choose. Now your 4th of July crafts are complete! The possibilities are endless. One thing is, however, for certain. Your preschoolers and their families will enjoy this patriotic craft for many years to come!